Chubby Puppies & Friends Pet Fun Center Just $9.87! Down From $30! You are here: Home / Great Deals / Amazon Deals / Chubby Puppies & Friends Pet Fun Center Just $9.87! Down From $30! Amazon is currently offering this Chubby Puppies & Friends Pet Fun Center for just $9.87 down from $29.99 PLUS FREE shipping with Amazon Prime or for orders over $25! It’s a Chubby Puppies & Friends party at the Pet Fun Center! Puppies can ride the elevator, enjoy a bubble bath, take a trip down the slide, ride in the swing, and play on the carousel! It’s puppy play for mommy and baby Chubby Puppies — plus all their friends! 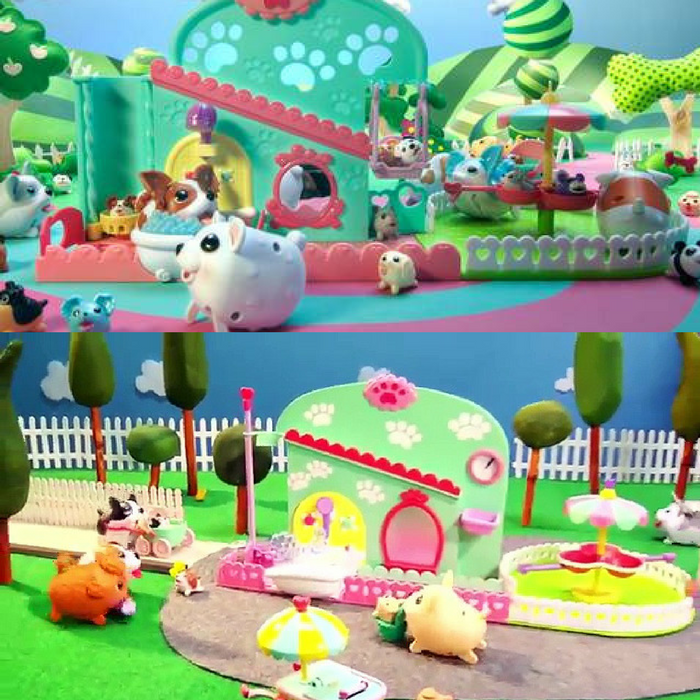 The included Chubby Puppies character hops, wobbles, and moves around the Pet Fun Center, while baby puppy is having fun. It’s cuteness overload with the Pet Fun Center from Chubby Puppies & Friends. The baby puppy moves up the automatic baby elevator, down the slide into the swing and around the carousel. Includes 1 Chubby Puppy that hops and waddles full of adorable puppy energy that even powers the carousel. Adopt all of the Chubby Puppies & Friends for even more cuteness and fun. Chubby Puppies & Friends Pet Fun Center is for ages 4+ and requires 1 AAA battery (included).